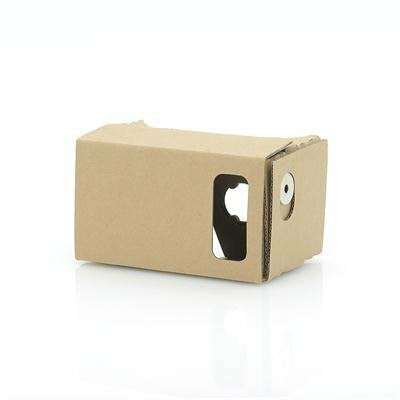 Successfully Added DIY 3D Google Cardboard VR Glasses - Mobile Phone Virtual Reality 3D Glasses, NFC, For iPhone + Android Phones to your Shopping Cart. The DIY Google Cardboard VR mobile phone 3D glasses headset, instantaneously transforms your Smartphone into a VR headset. At the Google I/O conference this year attendees were handed a new little toy which turned out to be the Google 3D VR glasses, for those of you that missed the show don't fret. Google put the instruction to make the glasses on their developer's site. If however, you’re not so keen on sourcing the materials and making your own then don't worry. Chinavasion has done the hard work for you and lets you get everything you need right here. This 3D Cardboard Google glasses kit comes with everything you need so you can assemble the parts and be ready to go in just 3 minutes. It even has a NFC tag for better functionality with your Android phone. 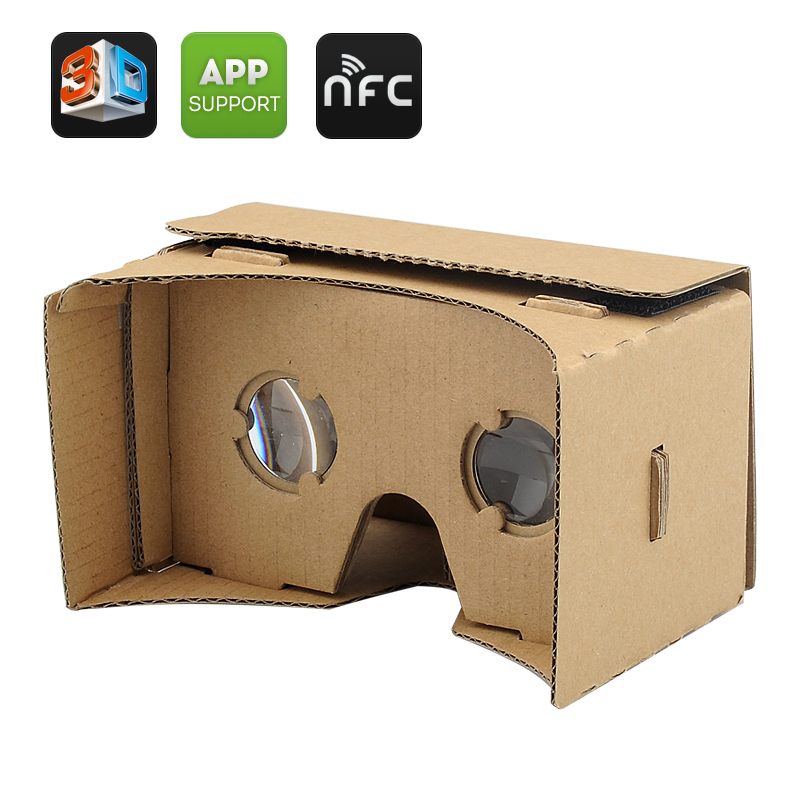 As well as the hardware you will want the software, for Android devices go to the Google Play store and search for “cardboard”. This is a great way for anyone with a suitably sized Smartphone to enjoy the cinematic experiences of VR for minimum costs. VR is awesome and now it’s cheap as well. One of the cheapest way to experience virtual 3d using the app. needs improvement to hold the cellphone from width as it can accidently fall if not held securely.